I had the pleasure of painting with Brent Jensen today in Golden Gate Park. Brent and I met years ago at a plein air event, and have tried keeping in touch while he’s moved about the country. Check out his work, pretty great, right? 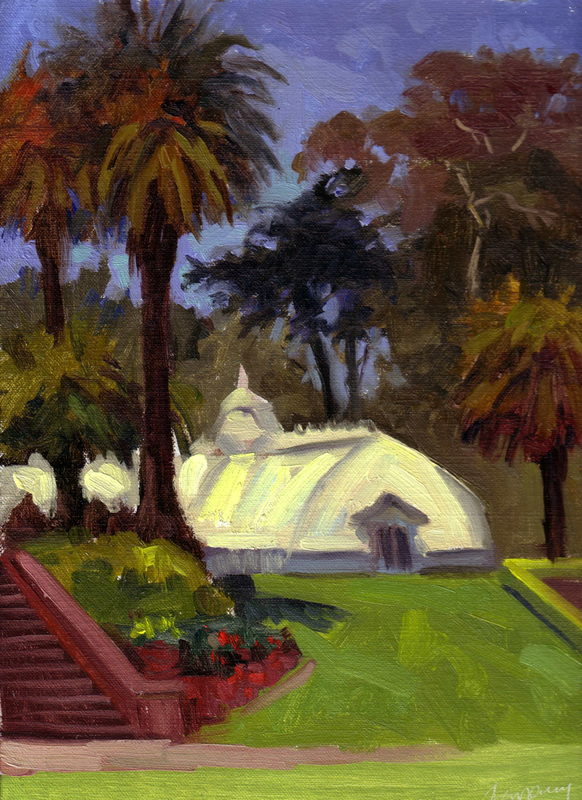 I returned today to a couple icons of the park I’ve painted before: The Conservatory of Flowers (here) and the Golden Gate Pavillion (here, here, and here). Although I’ve painted these subjects before, all the other factors that go into a painting made these unique. The weather was fantastic, the light and sky clear. I’m very happy with the color and composition here. 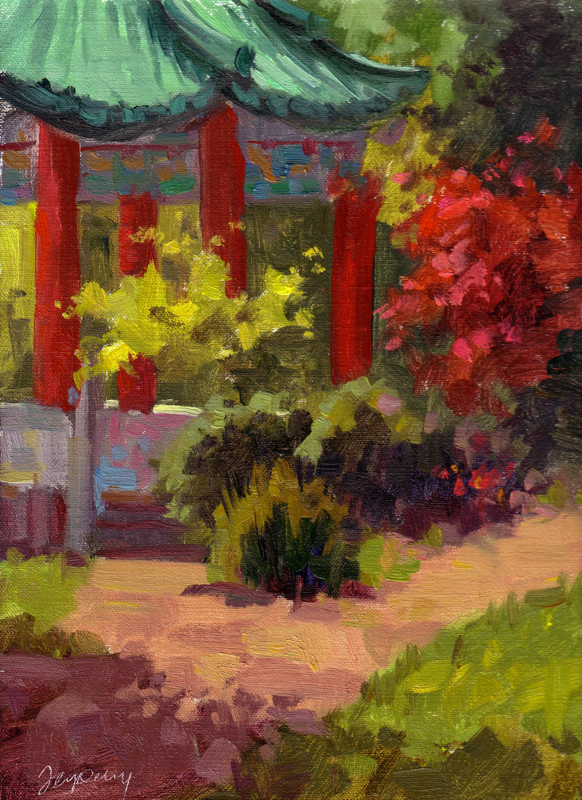 I added shadows over the path and grass at the bottom, to create arrow shapes that guide the eye into the painting. My only hesitation with this one is this: the color of the red columns is a close to that of the nearby tree on the right. One the one hand, it ads color harmony to the painting, on the other I wonder if these should have been separated a bit more. Thoughts? This painting of the Conservatory turned out to be more complex that I’d originally thought. Mixing architecture and nature is always a challenge. I’m happy with this one too, expecially the values, which I think read pretty well.